I’m not sure if you’ve heard fellow east coasters but our first snowmageddon of the season is upon us. And its hitting us right for the weekend. Time to hibernate, shop for way too many groceries, and in my case, craft. 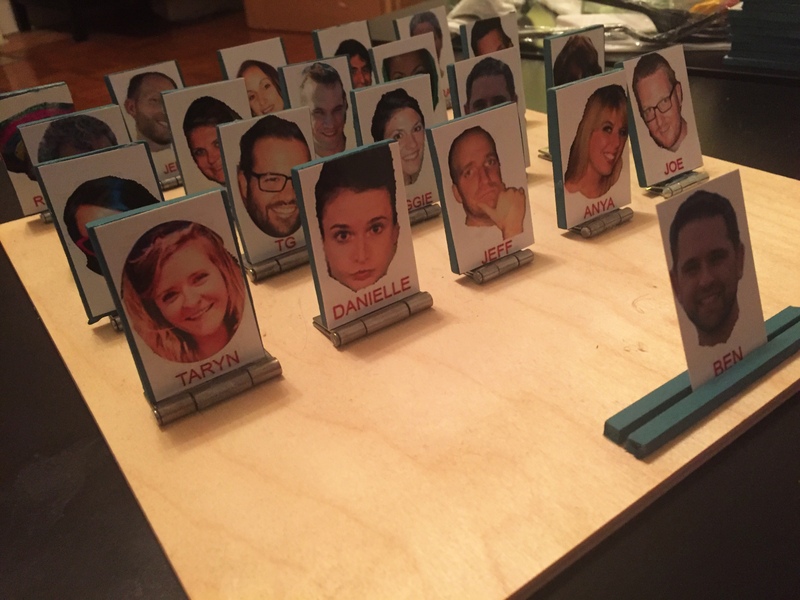 My last big project was a homemade Guess Who game. It was a huge hit. The fun part about this project is choosing the people that go in it. I did need some help from my photoshop-talented coworker Joe (it cost me a lunch) for the pictures but I’m sure that I could have figured it out in Paint. Now I’m not one of those people that can just see something on Pinterest and figure it out. I need step by step instructions and a list of supplies. I found this from one of my favorite crafters, and her instructions are always really detailed. One suggestion I will give is that there was a lot of drying time between the painting and the gluing. Do not make my mistake of trying to rush it. As for this weekend’s project I have some gold leaf paper that I can work with. Below are some of my favorite craft bloggers so you can get inspired too. And please don’t judge too harshly on the PB teen blog, I’m a sucker for glitter.